Isms, isms, everywhere. It would seem that a movement is not validated until it gets an “ism.” This Wednesday “Sustainism” will be launched at the New York Public Library when authors Michiel Schwarz & Joost Elffers discuss their new book, Sustainism is the New Modernism (Distributed Art Publishers, $24.95). Critic Alice Rawsthorn thoroughly parsed the authors’ explanation of the new term in Sunday’s New York Times. According to Rawsthorn, the criteria for any new movement needs to be “ethically and environmentally responsible, socially and geographically inclusive, collaborative, networked, (and) sensitive to nature.” The critic said that the authors accomplish this through what appears more like a “branding exercise” than a manifesto. Elffers said he and Schwarz began using the term two years ago, and while the duo don’t take credit for inventing the movement, they do feel that it deserved a name. 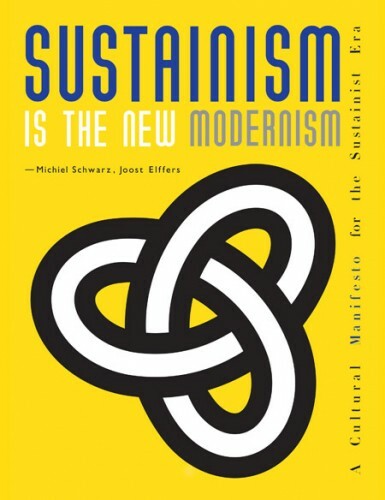 In his new book Greening Modernism, Carl Stein finds sustainable elements inherent in Modern design. As Sustainism plays well with his own title, Stein sees both the pros and cons in adopting the new label.